The Dunamis A3 IoT Module is a simple yet multiple featured design built on Kinetis L Series Micro controller. The micro controller is based on ARM Cortex M0+Architecture. ARM Cortex M0+ processors are found to consume low power with greater efficiency. 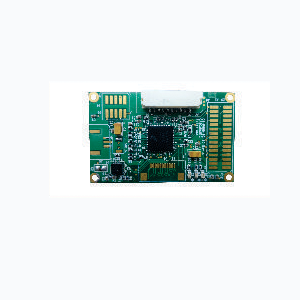 The module specifically supports low power applications availing all major communication interfaces for the user. The maximum operating frequency is 48MHz which can be chosen as per the application requirement. The micro controller has internal flash of 128 KB and RAM 16 KB. Up to 48 MHz ARM® Cortex-M0+ core. Low power modes for battery powered applications. 128 KB on-chip Flash & 16 KB RAM.